We couldn't fault it. Very clean, light and airy rooms. Huge super-king-size bed. Very central and easy to get to the shopping areas and the beach/pier on foot. Great family destination. Where to find Bournemouth hotels near an airport? Where can I find hotels in Bournemouth that are near tourist attractions? There are all sorts of lodgings to choose from for those planning to find either an affordable or upscale room in Bournemouth. The Expedia database contains 111 hotels within 0.1 kilometres (0.06 miles) of central Bournemouth. 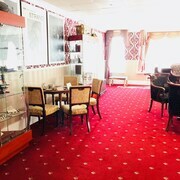 Visitors searching for a great place to stay near the heart of Bournemouth, should check out the Bournemouth Highcliff Marriott Hotel and The Norfolk Royale Hotel. Thrifty travelers rejoice! Bournemouth offers plenty of keenly priced hotel establishments. The The Durley Dean Hotel is 0.7 kilometres (0.4 miles) from the center of Bournemouth, while the The Ashleigh is 2 kilometres (1 mile) away. 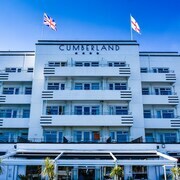 Additional affordable accommodation options include the Best Western Hotel Royale and the Heathlands Hotel Bournemouth. 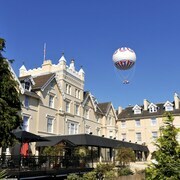 20 kilometres (14 miles) from the main part of Bournemouth, is the Rhinefield House Hotel. The Langtry Manor Hotel can be found 2 kilometres (1 mile) away. 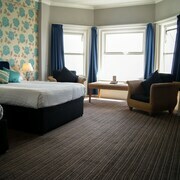 You could also choose to book a bed at the Hallmark Hotel Bournemouth Carlton or the The Green House. Why don't you broaden your horizons and enjoy the other sites dotted around Dorset while you are in the area? Spend time at Dorset's ruins, castles and fortresses and also admire the area's beaches and coastal plains. In this part of England travelers can also enjoy mountain biking. Looking for things to do? Spend a few hours exploring Brownsea Island and Poole Museum, which you'll find in Poole, 9 kilometres (6 miles) to the west of Bournemouth. 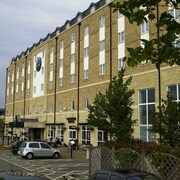 Expedia-listed Poole hotels and accommodations are the The Merchant House - B&B and Holiday Inn Express Poole. 3 kilometres (2 miles) to the east of Bournemouth, you can also stay at Boscombe, which is home to the Urban Beach Hotel and Hallmark Hotel Bournemouth East Cliff. Whether you're just passing through or staying in Boscombe, set aside a little time to check out the O2 Academy Bournemouth and Boscombe Chine Gardens Mini Golf Course. Before you head home from Dorset, why not make sure you catch some local sport. Visit Newbury Racecourse to the northeast of Bournemouth. Those sports fans wanting to sleep near to the action can make a choice from the Donnington Valley Hotel and Spa or the Hare & Hounds Hotel. If you are flying into or out of Bournemouth International Airport and would like to stay nearby try Village Hotel Bournemouth or Avon Causeway. What are the most popular Bournemouth hotels? 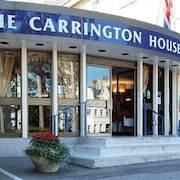 Are there hotels in other cities near Bournemouth? 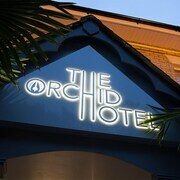 What other types of accommodations are available in Bournemouth? 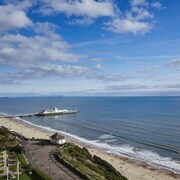 Explore Bournemouth with Expedia.ca’s Travel Guides to find the best flights, cars, holiday packages and more!